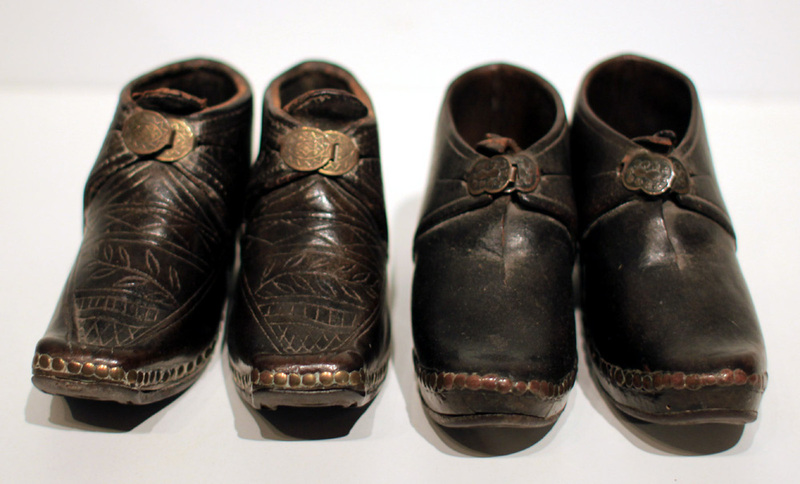 Rare and fine little pairs of leather shoes with brass studs and buckles, and iron horseshoes. One pair has a fine etched pattern is throughout the leather, and both have a nice pressed pattern in the buckles as well. Soles show wear, unusual for such small shoes. Early 19th century, British Isles. The price listed is for both pair. Can be separated. Excellent condition with some wear to the soles.